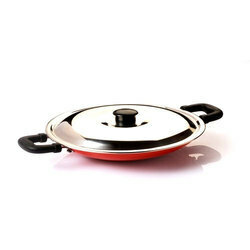 ASIAN Non stick Cookwares are made from heavy gauge aluminium sheets. The cookwares are coated with a non stick coating of Polytetra Fluro Ethylyne PTFE, the smoothest and slipperiest material known. ASIAN Nonstick Cookwares are Stylish, Convenient, Durable & Scratch Resistant. 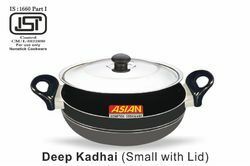 Amongst the chief organizations of this domain, we are occupied in providing Appachatti with Lid to our clients, which is highly demanded in the market. Prices may vary as per product specifications & Quantity. - Widely demanded in hotels, houses, etc.